Patricia is a 15-year-old girl born to a family of 9 children in Laikipia North, Laikipia County. She has spent most of her life outside of the classroom due to her family’s inability to pay for her school fees. Despite these challenges, she scored a 382 on her KCPE exam in 2016, ranking among the best 100 girls in Laikipia County. This impressive mark would have seen her admitted to most secondary schools. Unfortunately, she lacked the money for school fees to progress with her education. Patricia exudes confidence. 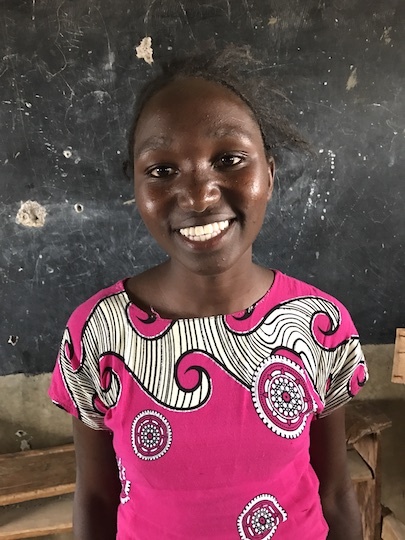 She is determined to one day become a lawyer to help her community and protect young girls against FGM and early childhood marriages. Unfortunately, her family is unable to support her and her other siblings’ basic needs, much less their education. When we met her, she was on the verge of losing hope. Today, Patricia is enrolled at Mary Leakey Girls’ High School. We hope that, through a sponsorship, she will achieve her dreams and support her community for years to come.